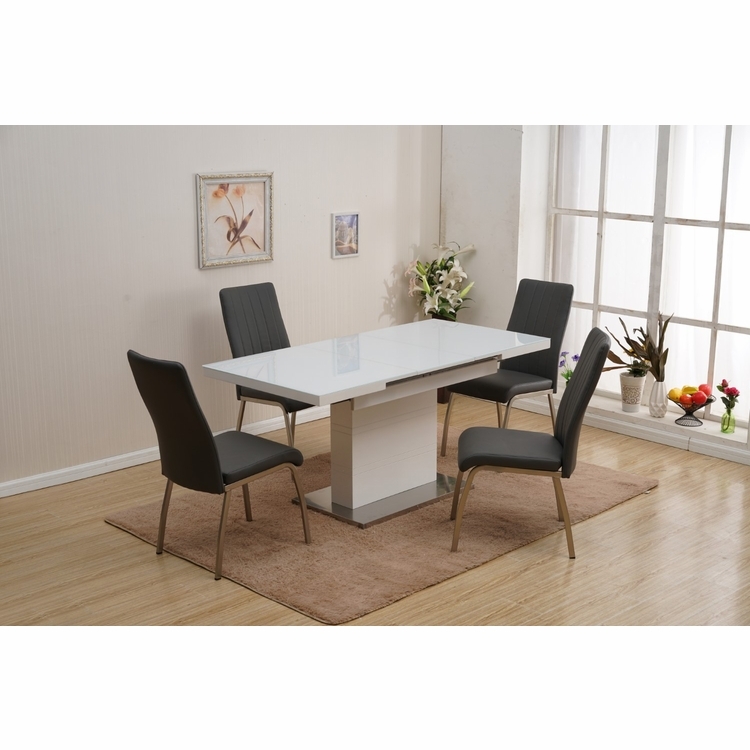 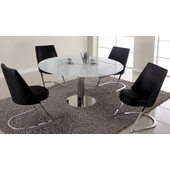 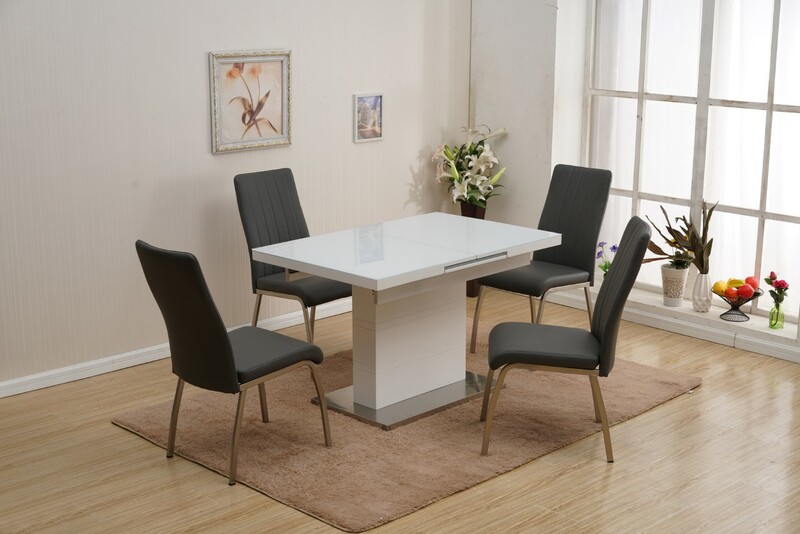 Improve any dining space with this appealing, white starphire glass top table. 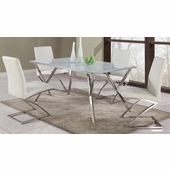 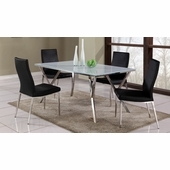 Complete with a self-storing, butterfly extension this table also features a white gloss pedestal base that connects to a rectangular, brushed, stainless steel finish floor plate. 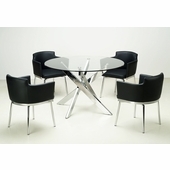 The displayed chairs are upholstered in quality faux leather and the supporting legs each have protective glides and a chrome finish for a coordinated setting.